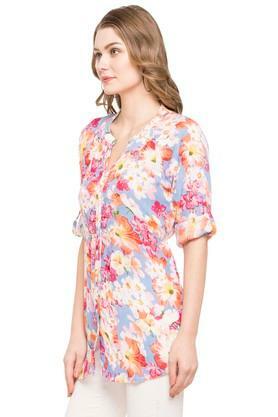 Opt for casual simplicity with this tunic from Sanaa. Made from good quality fabric, it will provide you with immense comfort throughout the day. 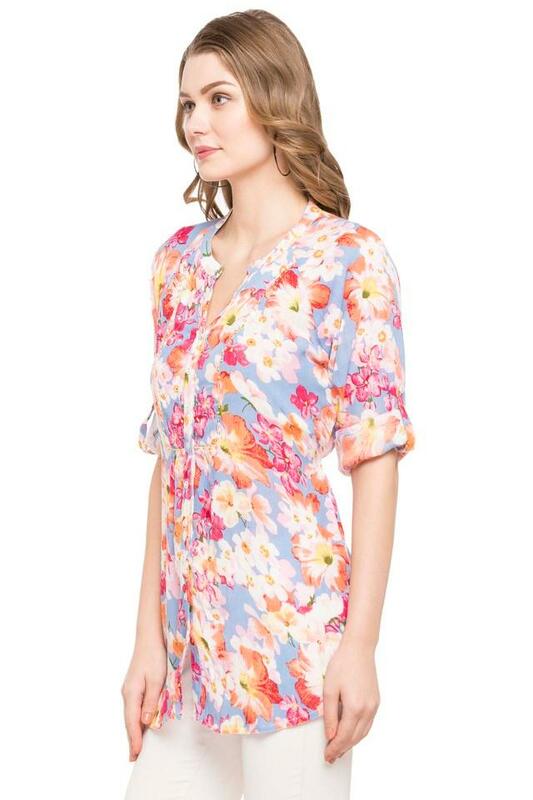 Featuring a mandarin neck, rollup sleeves and floral print, this tunic boasts of enticing gracefulness. 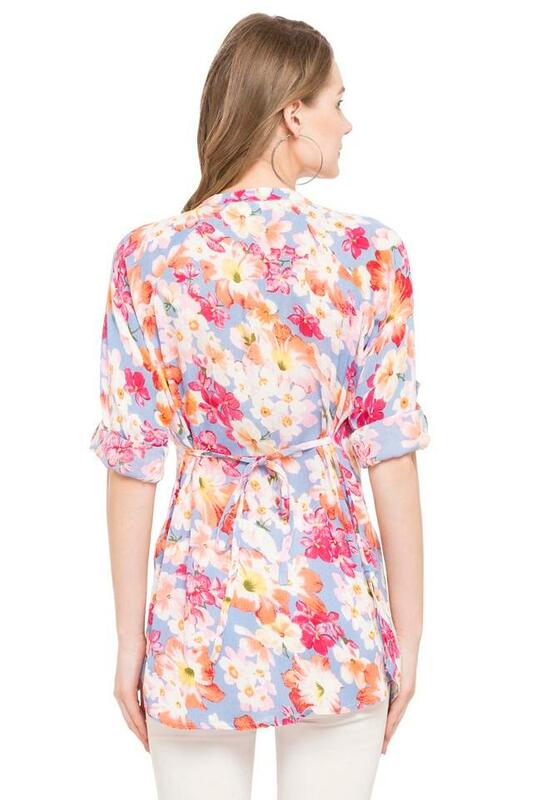 Introduce style to your everyday staples with this tunic. Charm the world by coordinating this tunic with a pair of jeans and strappy flats.